As part of the NJSGA’s ongoing Rules of Golf educational program, the NJSGA Rules Committee will “bring you along” with a group of players during their round to review common Rules scenarios. The third of the series involves Bunkers. A player’s tee shot on the par 4, 9thth hole was slightly pulled and ends up in a fairway bunker on the left side of the fairway. The ball is in the middle of the bunker and in a very playable lie – but it is surrounded by several large stones, acorns and a paper cup. Not sure which club to hit, the player carries three clubs into the bunker – and after selecting the club to use, drops the other 2 clubs in the bunker. The player then carefully removes the stones and acorns without touching the ball. However, while moving the paper cup, the player accidentally causes the ball to move. The player is unsure of how to proceed. Good news for the player. 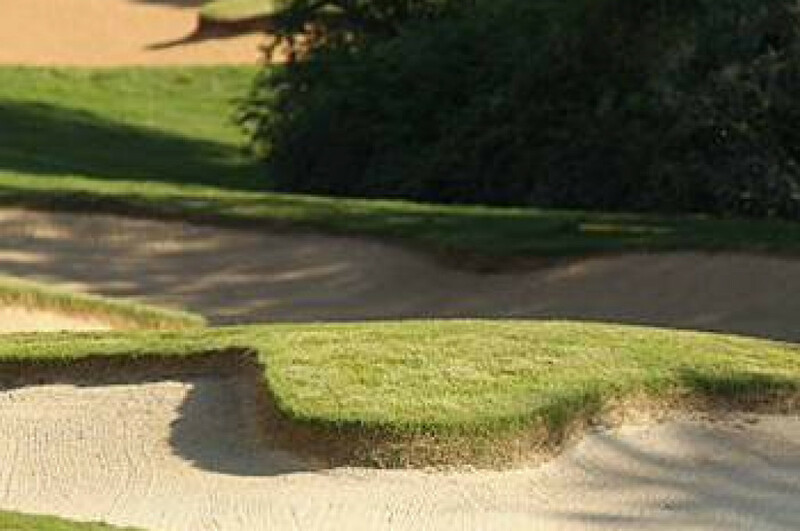 The rules allow a player to place any equipment in the bunker if not done deliberately to test the condition of the sand with the intent of learning information for the next stroke. The player is also allowed to move loose impediments and movable obstructions – and any reasonable touching or movement of the sand is permitted while doing so. While the player would get a penalty for causing the ball to move when moving loose impediments, the player does not get a penalty for the accidental movement of the ball in removing the paper cup (a movable obstruction). In this case, the player must replace the ball on its original spot. If the player fails to replace the ball, it is a two-stroke penalty. For more information, key rules references are 12.2a, 12.2b, 15.1b, 15.2b, 9.4, 14.7 and clarification to 1.3c(4) (December 2018).